D&D Beyond has become an invaluable resource for players and DMs alike. It’s also proving to be an interesting source of statistics. During the latest development chat, D&D Beyond Product Director Adam Bradford revealed some states that they have pulled together using data from the platform, which reveal that most campaigns stop by level ten. The stats were put together by taking all the characters created in its system and compiling them into four tiers by level. Tier 1 is level one through four, Tier 2 is level five through ten, Tier 3 is eleven through sixteen and Tier 4 is seventeen through twenty. 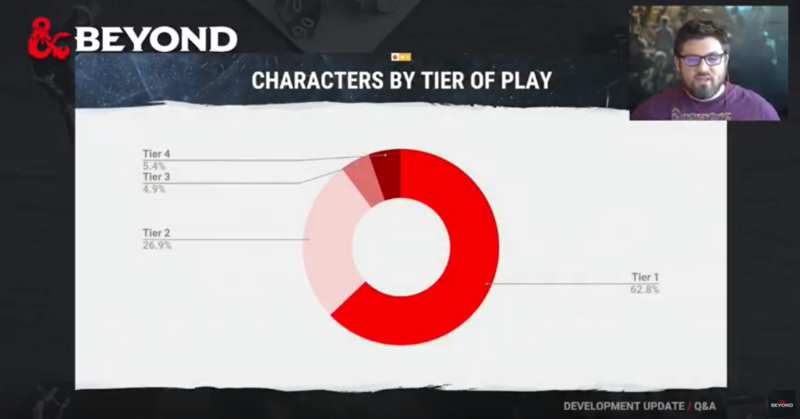 Bradford revealed in the chat (via ENWorld) that 89.7% of characters end at level ten. Of those who progress beyond that, you’re more or less equally likely to stay in Tier 3 (4.9%) or push up to the final stage of character advancement (5.3%). 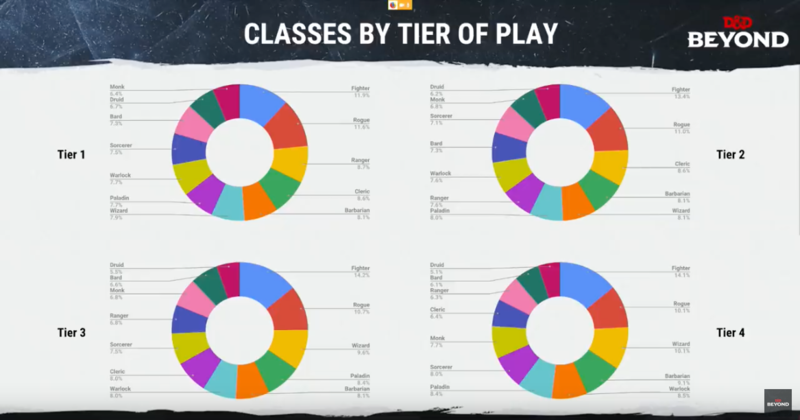 Bradford also broke down the tiers by class. Fighters and rogues are most common at every tier, with wizards coming in third at the higher levels and clerics and rangers coming in third in Tiers 2 and 1, respectively. Monks are the least popular class at starting levels at only 6.4%, with druids taking over at level five all the way to maximum level. The stats aren’t entirely surprising, to be sure. It will always be rarer to see those campaigns that hit very high levels, and with most of D&D’s official Fifth Edition modules running from levels one through ten, that seems to be a good stopping point. That said, Wizards of the Coast has been delving into higher level modules a touch as of late between last year’s Tales from the Yawning Portal and Waterdeep: Dungeon of the Mad Mage, so those higher-Tier numbers may continue to rise.